Laurie Kouzes is a licensed California professional fiduciary with Professional Fiduciary Services (PFS) in Laguna Hills, California. PFS is a group of independent fiduciaries who work together providing services such as Trustee or Successor Trustee in Living Trusts, Personal Representative in Wills, Agent for the Advanced Health Care Directive and Power of Attorney for Assets. 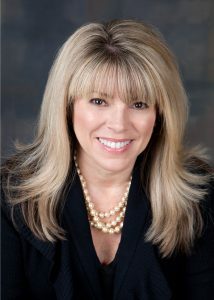 Laurie has experience serving as Trustee and Agent for Durable Power of Attorney for Assets. She has been involved in bringing legal action for elder financial abuse by both a caregiver and financial advisor. Laurie is a graduate of the USC Marshall School of Business and earned her Certificate in Professional Fiduciary Management for Trustees from California State University, Fullerton. She is also certified as a National Guardian by the National Guardianship Association. She is a member of the USC Marshall Alumni Association and actively served on the sponsorship committee for the Business Growth Conference in Southern California, co-hosted by Harvard Business School Association of Orange County and USC Marshall Alumni Association, in 2010 and 2011. She is also a Partner with Women of Vision, World Vision, which is a Christian humanitarian organization dedicated to working with children, families and communities worldwide to reach their full potential by tackling the causes of poverty and injustice. Prior to joining PFS, Laurie had a successful twenty-six year career at International Business Machines (IBM), including the past fourteen years as Senior Business Development Manager. In this capacity, she managed the recruitment and development of IBM partnerships in countries worldwide including the US, UK, Australia, India, Mexico and Japan, generating over $40 million in revenues. She also held key positions in finance with the IBM Credit Corporation, as both Financial Analyst and Leasing Advisor. Laurie is a lifelong resident of Southern California and works with clients in both Los Angeles and Orange County.